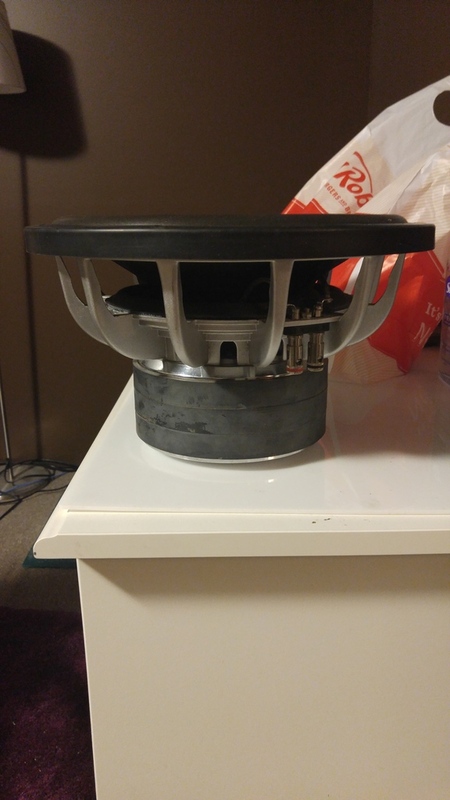 Selling a pair of custom 12" Resonant Engineering SX'S with Fi soft parts. They were Reconed with Fi soft parts a while ago with triple stiff spiders and a flat wound coil. They are both dual .7 ohm coils. You can't get them in Canada. They were built to compete on 2k each and will still get loud with 1500 watts to the pair. One has a small crack on its dust cap, but it does not affect how it plays and it's not very noticeable. Asking $250 each OBO. Make me an offer. I'm not sure what they're worth. Last edited by 1980supreme; 06-09-2016 at 12:49 AM.